@Scott-Przybylski Yeah I totally understand that it's just you working on this so I know that no matter how good of ideas get posted on here it's definitely going to take some time to implement. You've done an awesome job so far and I'm excited to see how this game evolves. I can see how the lane thing can vary but to at least have some straight lines down the straights would help a lot. I find myself thinking that I'm running parallel to the buoys only to find out that by the time I get to the next turn I've drifted in or out 2 lanes. I thought of a simplified version of boat setups that may be easier to do. You could make 3 presets; one that's conservative where the boat is hard to fly so it's less likely to flip but it's relatively slow. Another would be moderate where it's a little easier to fly the boat so it's a little easier to flip but you can go a little faster. 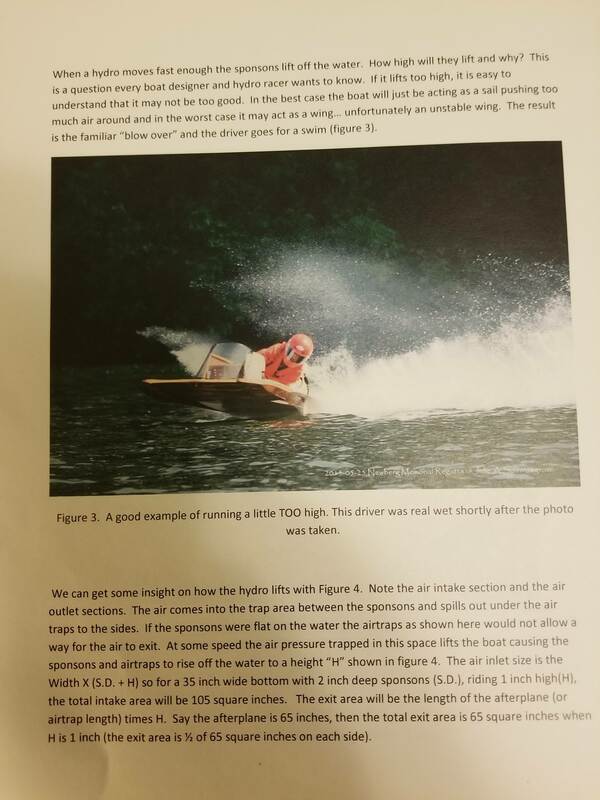 And the third would be aggressive where it's really easy to fly the boat and therefor easy to flip as well but you can go a lot faster. Since we are shooting ideas. A new home screen and maybe a screen inside the server. I was thinking a pits for the home screen. You on the trailer and then have a crane next to you. And for the sever you have a overview of the pits and everyone or just you is showing with cranes moving here and there. Just gives it a little something special. Also, the roughness of the track. I feel like it should get rougher over time. By the end of the race it should be a lot harder to keep on the water (something to play around with). Another, when we can change setups on the boats it will show. Iracing you can change a whole bunch to your car but it looks the exact same as everyone elses. One more, the rooster tail is too long at the end. Maybe having it the same in the turns for the right side but whoever is on your inside shouldn't have rooster tail in their face (unless cut off). The rooster tail also should have less physics at the end (causes people to roll or stuff it when not even close to it). All of these are great ideas, but one thing I really struggle with is the way it runs on pc. Frame rate is horrific, and the game lags out a lot, and freezes. So some graphics options that can improve frame rate and such would be fantastic. I love this sim, but I don’t have the kind of money to spend on a new computer that can run it smoothly. @Harley-Gray What Ryan said, I've found that running the game fullscreen at half or lower resolution helps a lot. The shaders for the water are very GPU intensive. I will add a graphics settings menu eventually to allow you to tweak the graphics settings more. @Cei I've always thought it would be cool to have the cranes lowering the boats into the water and other atmosphere details. Roughness of the water over time should be doable, it should probably take into account how many boats are on the water and for how long. I plan on exposing options for the server admin to adjust the water conditions. @Ryan-Yates Yeah, the old algorithm I was using was trying to simulate planing and slamming forces better, unfortunately it seemed to stuff it in the turns even more. 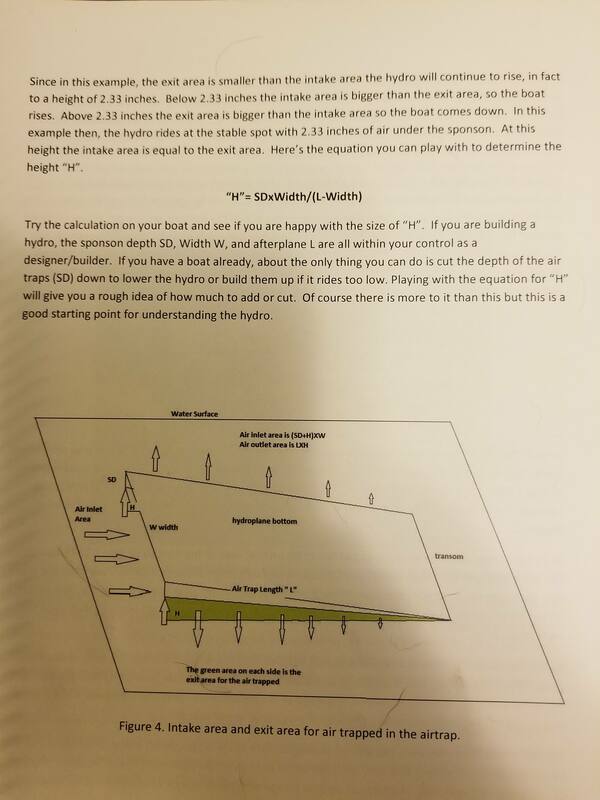 I also think that the center section shouldn't be simulated like a wing, I found some research papers on it (https://www.researchgate.net/publication/266593645_Dynamics_and_Stability_of_Boats_With_Aerodynamic_Support) The hard part is figuring out how to actually use the equations. Thanks @Ryan-Yates that is helpful. Unfortunately I'm not entirely sure how I'd use that in the physics calculations. What I envision for figuring out the lift generated by the hydroplane tunnel/air trap would be to setup a grid of points at an angle. I can then sample the water at the center of each square to find the height above the water. From there I'm not sure what the equation is to figure out the lift force exerted by the air pressure. I'm thinking it may be similar to ground effects. As far as I know, new hull options should coming in the future since Scott is working on a new model that should be more accurate. When that happens, all the boat paint schemes will probably need to be redone which will take time. I think more courses are planned for the future, but they’re not needed at the moment and Scott is the only person working on that aspect of the sim so it will take time. Increasing the number of races might be an option in the future, but we’re trying to emulate the real schedule and these races do take up a lot of time (3-4 hours per race). As for the parallel rollers off the log boom in Seattle, I think it’s already there.